Quebec MP Maxime Bernier announced today that he is quitting the Conservative caucus to create a new right-wing party. He used the opportunity to criticize Conservative Leader Andrew Scheer and his former colleagues, Laura Stone and Daniel Leblanc write. “I have come to realize over the past year that this party is too intellectually and morally corrupt to be reformed,” he told reporters. You can read his full statement here. The announcement came as Conservatives gathered in Halifax for a policy convention. MPs were set to meet this afternoon to decide whether to kick Mr. Bernier out of the caucus because of his controversial views on immigration and his direct challenges to the leadership of the party. The Supreme Court of Canada has declined to hear an appeal from the Toronto Real Estate Board (TREB) over a federal Competition Tribunal order on the restriction of home-sale data, Shane Dingman writes, effectively ending TREB’s years of legal wrangling with the Competition Bureau. The move could lead to greater transparency for people buying and selling homes across the country, experts say. At the core of the dispute is how the realtor trade association sets the rules that define how its more than 50,000 members may disseminate and display the sale price of homes and other elements of the Multiple Listing Service data feed that TREB maintains. The Competition Bureau brought an action six years ago alleging that TREB was harming innovation by restricting so-called Virtual Office Websites (VOWs) – an alternative form of a traditional real estate brokerage office – from posting selling data. Also today the Supreme Court dismissed an appeal by the City of Burnaby, B.C., on construction of the controversial Trans Mountain pipeline expansion. The Burnaby appeal was one of the last remaining court challenges being fought by opponents of Kinder Morgan’s pipeline project, which has pitted British Columbia and First Nations against Alberta and Ottawa. Several B.C. First Nations are involved in a Federal Court of Appeal case expected to be decided soon that targets Ottawa’s approval of the project. President Donald Trump drew a sharp rebuttal from his attorney general today after he gave a scathing assessment of Jeff Sessions as being unable to take control of the Justice Department. Trump intensified his criticism of the Justice Department in a Fox News interview broadcast as the White House grappled to respond to the conviction of former Trump campaign chairman Paul Manafort on multiple fraud counts and a plea deal struck by Trump’s former personal lawyer Michael Cohen that implicated the president. In what may be more bad news for Trump, tabloid executive David J. Pecker has been granted immunity by federal prosecutors investigating payments during the 2016 presidential campaign to two women who said they had affairs with the then-candidate, a person familiar with the investigation said. Pecker is CEO of American Media, best known for its flagship, The National Enquirer. He is close to both Trump and Cohen, and was integral to a campaign effort to help protect Trump from embarrassing stories about women as he ran for the presidency. Quebeckers head to the polls Oct. 1 in a vote Premier Philippe Couillard has portrayed as a stark choice between stability and confrontation, continuity and risk, Ingrid Peritz writes. The Liberal Leader asked voters for another mandate today as the province heads for an election that, for the first time in decades, will not revolve around the existential question of Quebec independence. The Liberals have traditionally benefitted from the anti-sovereignist vote. With the issue off the table in this election, Couillard recast the threat from the opposition by presenting his chief rival, François Legault of the Coalition Avenir Québec, as a figure seeking confrontation. Wall Street’s major indexes fell today as trade-sensitive stocks were hit by a new round of tariffs in the trade dispute between the United States and China. The Dow Jones Industrial Average fell 76.22 points to 25,656.98, the S&P 500 lost 4.84 points to close at 2,856.98 and the Nasdaq Composite ended at 7,878.46, 10.64 points lower. The Toronto Stock Exchange’s S&P/TSX fell 20.55 points to 16,326.79, with sentiment continuing to be undermined by trade frictions. Metal stocks were among the biggest decliners. One of the top players in women’s hockey history is joining the Toronto Maple Leafs’ front office. Longtime Canadian national team star Hayley Wickenheiser is the NHL club’s new assistant director of player development. She won four Olympic gold medals with Canada, retiring as a player last year and finishing as the career leading scorer for the Canadian national team. Looking for ways to pump up the growth in your tax-free savings accounts? Here are some tips from financial bloggers and do-it-yourself investors. One blogger’s portfolio mirrors his family’s monthly bills - mortgage and power payments translate into bank and utility stocks. Another invests in large-cap stocks, but ignores the dividend yield in favour of highest return on equity: “I’ve found a correlation between a company’s return on capital and its share price performance.” And, not surprisingly, more than one has scored big on cannabis stocks. If it is difficult to fathom that it’s now been five decades since the premiere of 2001: A Space Odyssey, consider this equally mind-melting fact: Stanley Kubrick’s film used absolutely zero computer-generated effects, with every visual trick done in camera, Barry Hertz writes. That detail may be thuddingly obvious given the film’s vintage, but it is nonetheless astounding to consider while watching the film today – especially if you’re lucky enough to catch an upcoming screening of the film at Ontario Place’s Cinesphere in Toronto, which will this week host a special Imax 70mm print of the film, with a restoration overseen by Christopher Nolan. For those hoping to experience some 2001 nostalgia in the flesh, there’s next week’s Fan Expo, a celebration of all things “fandom,” where 2001′s stars, Keir Dullea (Dr. Dave Bowman) and Gary Lockwood (Dr. Frank Poole) will appear to commemorate the film’s 50th anniversary. Ahead of their journey to Toronto’s Metro Convention Centre, The Globe and Mail spoke with Dullea and Lockwood to talk about marketing, CGI, and an ironic fear of air travel. The skeleton of Eorhynchochelys​, an early relative of turtles that lived 228 million years ago. By any measure, the turtle ranks among evolution’s most unusual experiments, Ivan Semeniuk writes. Its signature adaptation, a hard shell made of fused and highly modified rib bones, sets it apart from all other vertebrates and has long challenged scientists’ efforts to understand how turtles first came about and where, precisely, they belong on the reptile family tree. 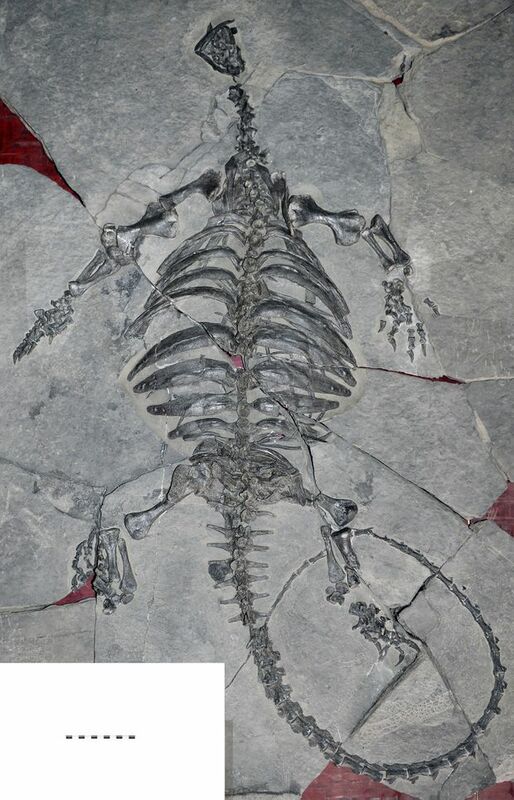 Now, a fossil uncovered in China has revealed a key step in the turtle saga. The 2.5-metre-long creature is the earliest known to bear many of the features that distinguish turtles today, even though it lacks a shell. The creature’s wide, flat ribs are a giveaway that it is somehow part of the line of reptiles that later evolved into turtles. Once the head was revealed, the creature was discovered to possess features that place it within a broad group of reptiles that includes dinosaurs, lizards, crocodiles and the ancestors of modern birds.